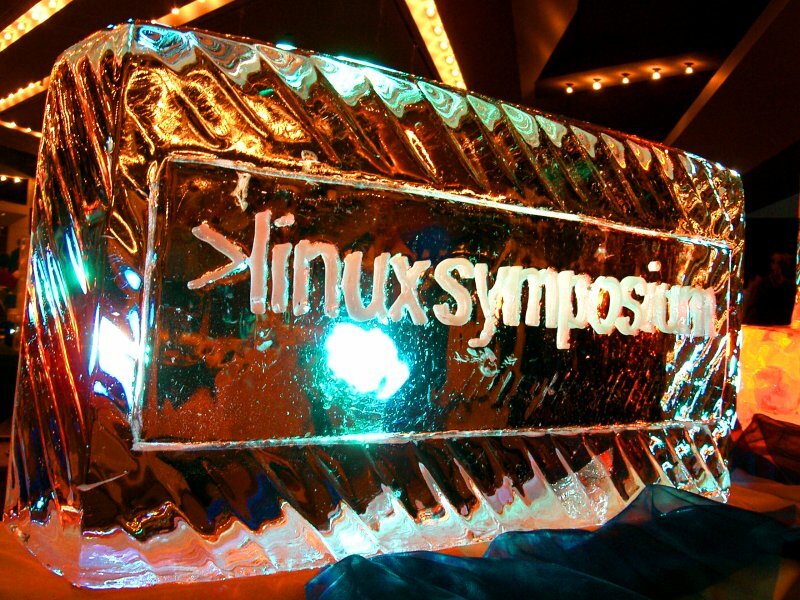 Linux Symposium is an event I always look forward to. Being local, it would be foolish of me not to attend. This year went as smoothly as previous years, with many talks, much developer-to-developer discussion, and excellent evening outings. It really is amazing to have so many of the minds behind my favourite operating system in one place. As someone pointed out during the week, "if there were a bomb at the Congress Centre during this week, Linux would really be set back a fair bit." As with every year, there are one or two general topics that drive many of the talks. Two years ago it was the splitting up of X.org, last year it was virtualization. This year's most interesting talks focused around the new kernel debugging mechanisms and the challenges around optimizing everything from the kernel through to the highest-level applications. A large portion of my time was spent talking to X developers are trying to get a grasp on how AIGLX ("aiglix") and XGL work, where they're going. There is much misinformation out there, and everything is constantly changing. I think I got a good feel for how the next year of X development is going to pan out, which is good for both my curiosity and professional goals. This conference, as with every conference, always has one person who really stood out, with whom I spend more time than with others. This year it was Aaron Seigo, best known for his involvement with KDE. Aaron is very approachable, knowledgable, fun. It all started when I overheard on the first day that he needs a place to crash. I volunteered Hubert, thinking to myself that it would be funny to impose a KDE developer on him. Naturally, I only told Hub after Aaron accepted. It turned out being a great way to make a new friend. Also, Aaron is a karaoke ninja. Admittedly, after an entire week of festivities, I'm severely drained. Nonetheless, I'm already looking forward to next year.